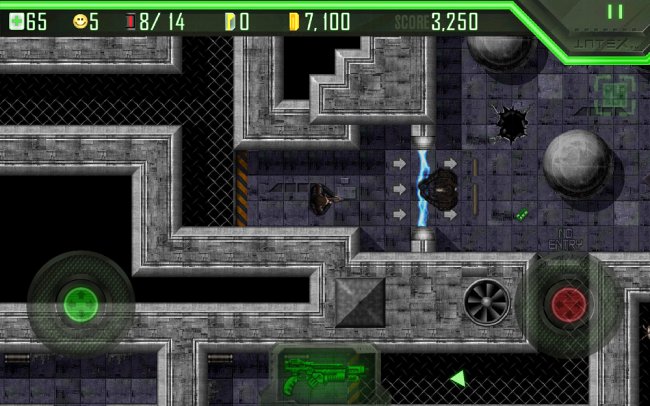 The classic top-down shooter from the 90s is here for Android. While Alien Breed is listed for $5 every time I check it on my wishlist, it is now on sale for just $0.99. That’s a steal! In Alien Breed, you go around shooting xenomorph-like creatures while collecting keys and enough ammo to get you through the level. If you are lucky enough (and equal that in adventurousness), then you might also find some extra lives. The controls are smooth, the graphics are fantastic for a mobile device, and there is no better feeling then taking care of a big bug problem with a machine gun.